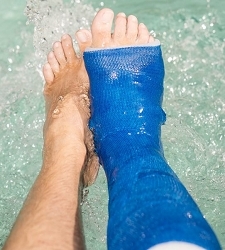 "Waterproof casts have been shown to provide adequate support and immobilization in fractures". 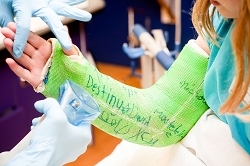 "The use of a synthetic casting material with a "waterproof cast" liner provides a safe alternative for the management of simple forearm fractures in children" according to the Journal of Children's Orthopedics. 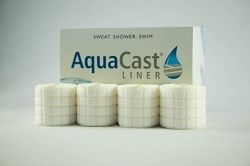 How can you get a waterproof cast liner? If you are injured and need an orthopedic cast. 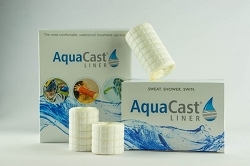 You now have the option of getting a water resistant cast. 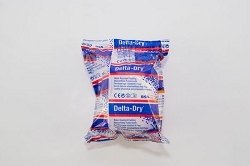 This type of "waterproof cast" materials resist water and allow you to then dry the cast after it gets wet. 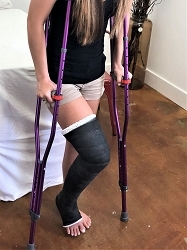 You can now return to normal life by swimming or showering all while in a cast. You can even take a nice hot bath or wash the car. 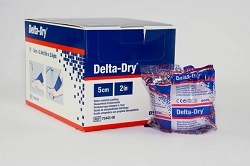 All without worrying about getting your cast soaking wet. 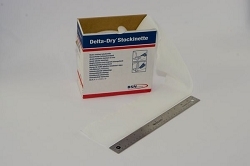 Breathable water resistant materials are used under fiberglass casting tape to allow water to drain from the cast. 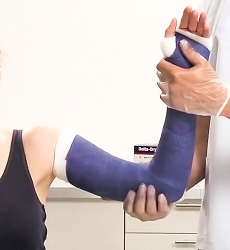 These materials are different from the standard casts that are applied at doctors offices. Often a doctors office will not have access to or stock these items as they are not usually covered by insurance and are considered an upgrade. We carry 3 brands. 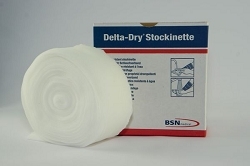 OrthoTape NEAL, Delta Dry, and AquaCast. 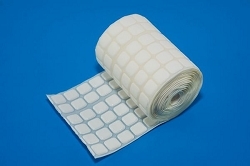 If your doctor has not specified, we recommend OrthoTape NEAL!